Acorn has been flooded with positive press since it opened in 2013. This year, it was named the best restaurant in Denver by 5280 Magazine (up from #2 last year). With all of the Good press, does the restaurant live up to its hype? Acorn is one of the two restaurants housed within The Source in RiNo. It serves small plates that are meant to be shared with two to three plates recommended per person. We tried out ten different dishes on our recent visit. It is exceptionally rare to be able to go to a restaurant, order ten dishes, and not have a few misses–or at least one or two that were “so-so.” Acorn, however, delivered beautiful and delicious dishes–one after another, all of them consistently outstanding. At Acorn, you order the dishes you want, and the server courses them out for you. The meal builds upon itself as each new course brings a unique flavor profile and wets your appetite for more food. Our meal started with the crispy fried pickles, then moved on to the kale & apple salad, crispy cauliflower, house-made potato gnocchi, matsutake mushrooms, Florida deep water shrimp and grits, tomato braised meatballs, oak smoked short ribs, oak smoked bone marrow, and finished with the Nantucket Bay scallop spaghetti. After eating ten outstanding dishes, it can be hard to pick favorites. 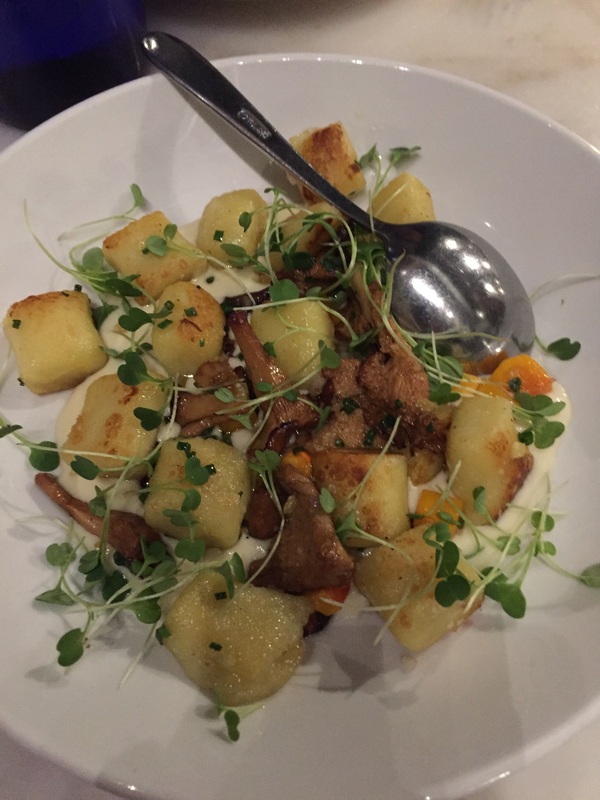 The gnocchi was light as a cloud and perfectly cooked. 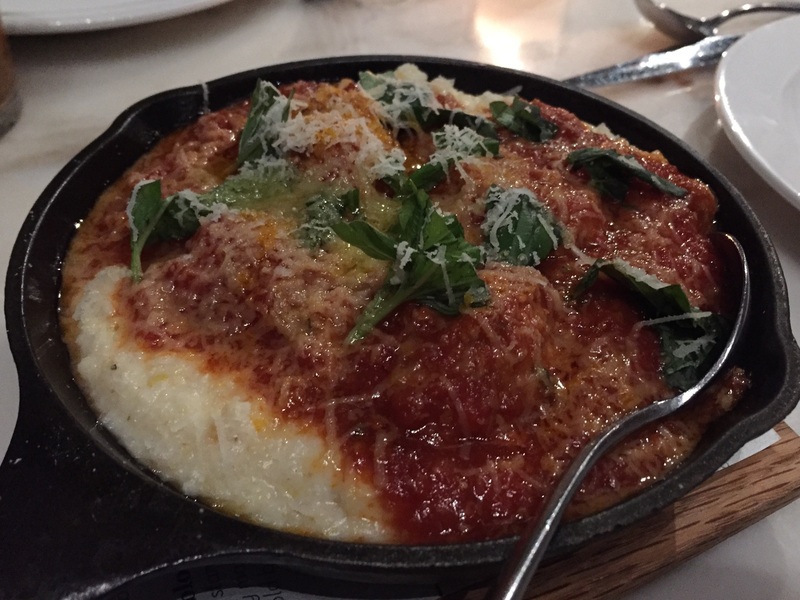 The tomato braised meatballs, served with grits, burrata, and basil, were awesome and filling–while not being overly dense. And the kale and apple salad was a favorite of everyone at the table–definitely a must-order. With so many Good options, you can’t go wrong at Acorn–you will love whatever you order. Acorn is the sister restaurant of Oak at Fourteenth in Boulder. 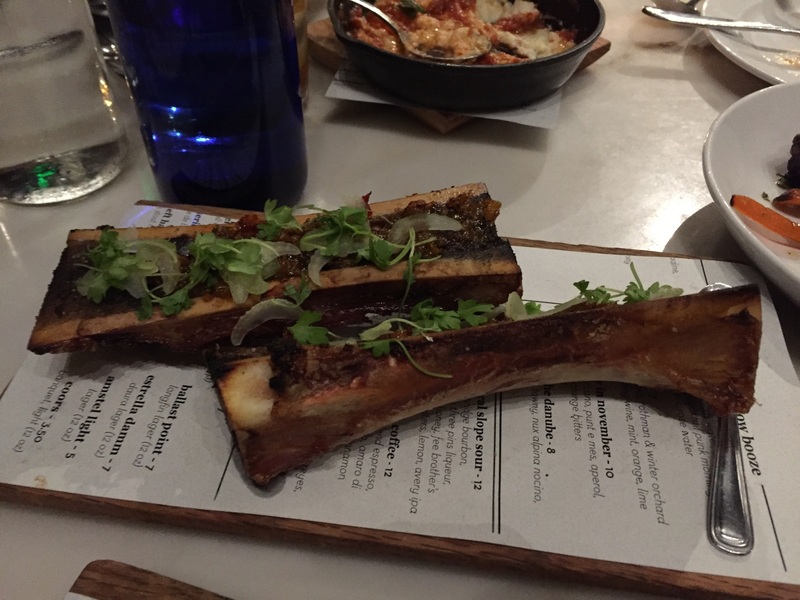 While being associated with that restaurant certainly gave Acorn some initial street credibility, Acorn has definitely earned, on its own, the excellent reputation it has made for itself here in Denver. And the restaurant’s success has not only been a critical ingredient for the success of The Source, but it has also helped The Source serve as an anchor for the explosion of development in RiNo. New restaurants, breweries, art galleries, and shops, are taking the place of vacant lots and abandoned warehouses, and that is because concepts like Acorn and The Source proved that people don’t mind (and may prefer) a slightly grittier part of town with cutting edge food, drinks, and shops. I can’t wait to see what the area looks like in 5 years, and I can’t wait to return to Acorn (which I am doing next week) for another delicious meal! Acorn is located in The Source at 3350 Brighton Blvd. Interested in living near Acorn and The Source? Click here to search nearby homes for sale! The Good Life Denver is written by David Schlichter. To stay in the loop, like The Good Life Denver on Facebook and follow @thegoodlifeden on Twitter and @thegoodlifedenver on Instagram!